A photo in a Tweet set me thinking. 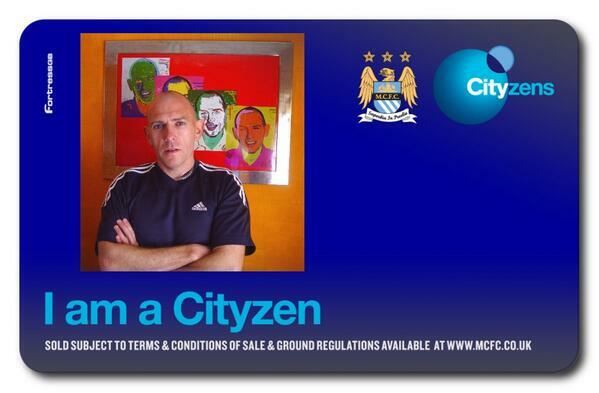 It showed a Cityzens card, the Manchester City membership card which fans can personalise by adding their own photos. I spent a few minutes thinking about what picture I’d put on my card if Birmingham City allowed that and then decided that I’d probably not bother to add one. But it’s a nice idea. Birmingham City has fewer resources than Manchester City but club staff do make an effort to get fans involved. They’ve invited representatives from supporters groups to a meeting next week to discuss off the field issues. If you belong to a supporters group or online forum you will have been invited to submit suggestions to your representatives on what you’d like them to talk about. Lee Clark has signed two wingers: giving Viv Solomon-Otabor his first professional contract and bringing Mark Duffy from Doncaster. So I’ve added their names to my cheat sheet of names I need to learn. So, for the time being at least, Birmingham City is carrying on as usual. The Birmingham based staff are doing their best to prepare for the season and the owners aren’t saying what they are doing at the moment. I hope the team won’t carry on in the way that became usual last season; it would be really nice if we started winning league games at home. But I’m trying not to worry about that just yet. It’s summer, the weather is warm and England is playing in the World Cup, though probably not for much longer.